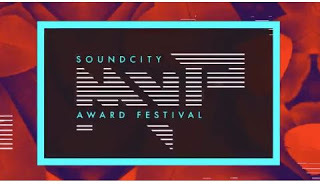 The eagerly awaited SoundCity MVP Awards Festival has gone back and forth and here is the arrangements of the champs from the show which was held in Lagos the previous evening. A great deal of best African artistes have deservingly made the rundown of those designated, from Pop, to Hip-bounce to Best Male MVP and so on. Damini Ogulu, surely understood as Burna Boy , was the greatest victor of the night after his hit banger 'YE' scooped four honors from the accompanying classes, Best Male MVP, Song Of The Year, Listener's Choice and Artiste of the year. The honor for the Producer of the year went to Phantom, for the melody 'YE', beating any semblance of Killertunes, Julz, Sars, Nahreel, Northboi, Dj Tira, Speroachbeatz, Fresh VDM And Kel P for the prize.